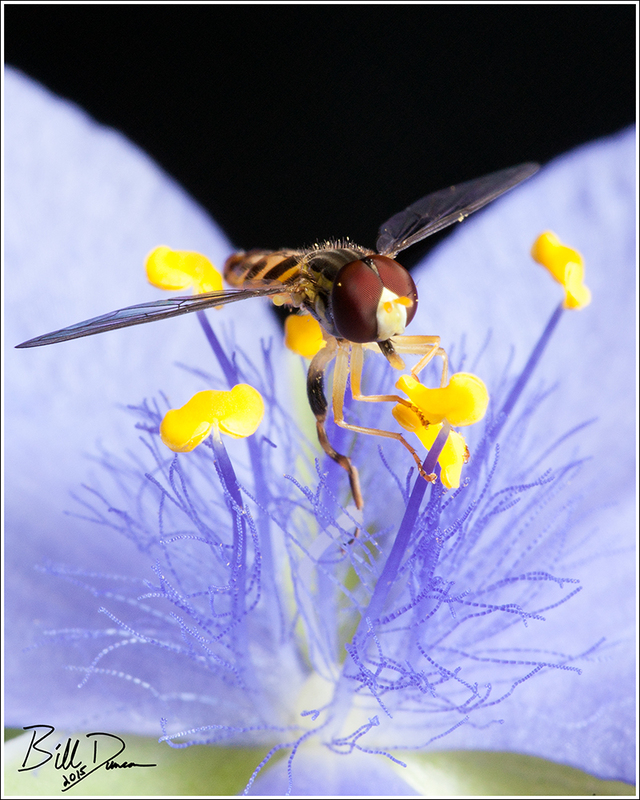 Anyone who has spent any amount of time studying flowers in the backyard garden has at some point noticed Syrphid flies. 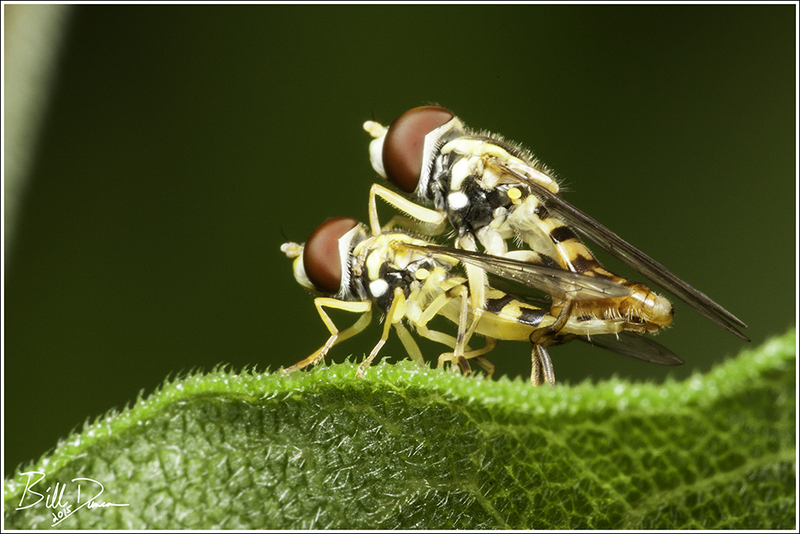 Known as hover flies, flower flies, bee flies and other names, this group is most well known for mimicking bees and wasps (Batesian mimicry). This small guy was captured feeding on my Ohio Spiderwort this spring. This is quite the important group of insects. The Syrphids are major pollinators for numerous flowering plants, potentially as important as native bees in this service. Larvae in this group may feed on rotting vegetation and many species will feed on aphids and other plant pests. 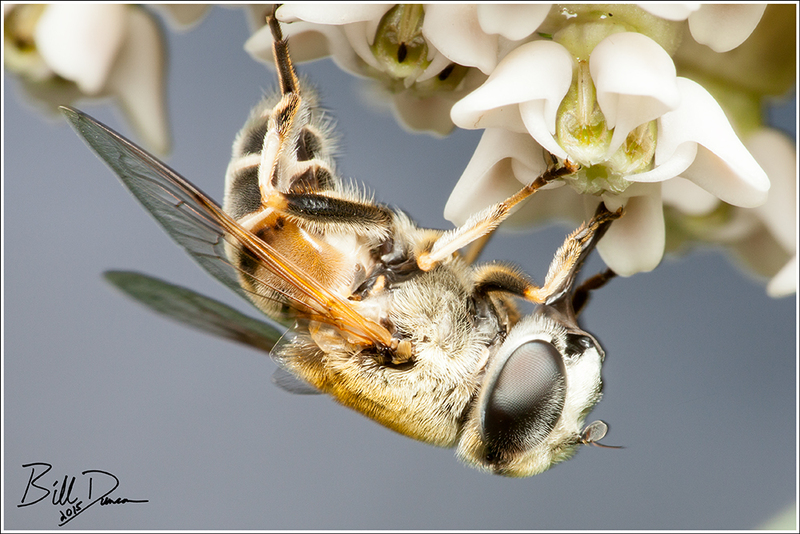 The rather large bee fly pictured above was found feeding on a Common Milkweed in the backyard. Eating and making baby Syrphids… If it isn’t already on a T-shirt, it should be. I often find these guys doing the Diptera 12-step in my backyard. If we did that, we’d be thrown in jail! great closeups. it’s fun watching these flies hover over the flowers in my backyard!